Things took an interesting turn for flagship smartphones last year. 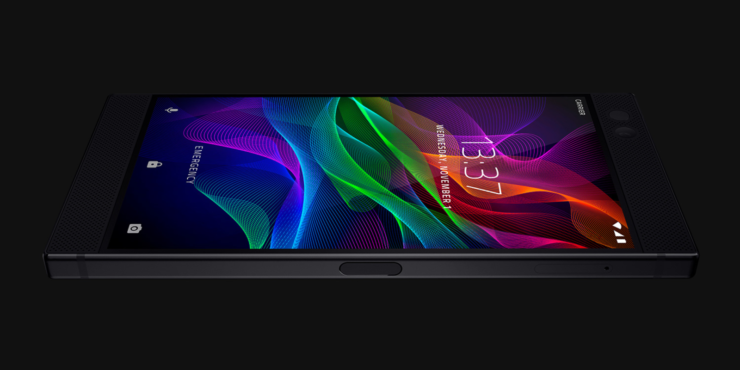 Razer announced its Razer Phone, a gadget that featured Qualcomm’s flagship hardware at the time, along with display and cooling catered specifically for gaming. ASUS and Xiaomi replied in kind, with the ROG Phone and the Black Shark respectively. Now, we’ve got more details for the Razer Phone 2, whose presence on the company’s financial statements was confirmed by us just days back. Now more details for the smartphone have surfaced. Take a look below to find out more. Despite the Razer Phone, Razer is and will be known for quite a while, for its PC peripherals and accessories. The company brought its engineering prowess on the Razer Phone, as it squeezed more out of the Snapdragon 835 simply by designing the device to dissipate heat better. Now, we’re hearing some interesting news about the Razer Phone 2. If it bears fruit, then expect the device to gain a strong edge over its predecessor and competition. If there’s one thing that Apple taught Android, it’s that design matters. The iPhones are the first smartphones to focus on aesthetics and performance as a complete package. Following in toe, gone are the days when Android flagships came with plastic backs. Now, Razer’s ready to take things up a notch (not literally we hope) with the Razer Phone 2. According to WinFuture’s Roland Quandt, Razer’s working with Texas Instruments for an LED controller designed especially for smartphones. Quandt believes that this controller will enable Razer’s iconic Chroma lighting effects built into the Razer Phone. Of course, when compared to Razer’s accessories, Chroma’s effects will be limited, unless Razer changes the original smartphone design. Unless Razer integrates Chroma inside the Razer Phone’s display, it’ll have to limit the lighting to the device’s back. The aesthetic potential for the feature on a smartphone is massive, but so are the limitations of making it work inside a much smaller form factor than Razer’s used to. The Razer Phone is already huge and unless the company wants to officially enter phablet territory – it’s advised to stick to current dimensions. Of course, a larger size isn’t bad for gaming but it’ll also drive away users who are looking for a trendy daily driver – with Razer’s Chroma. Thoughts? Let us know what you think in the comments section below and stay tuned. We’ll keep you updated on the latest.